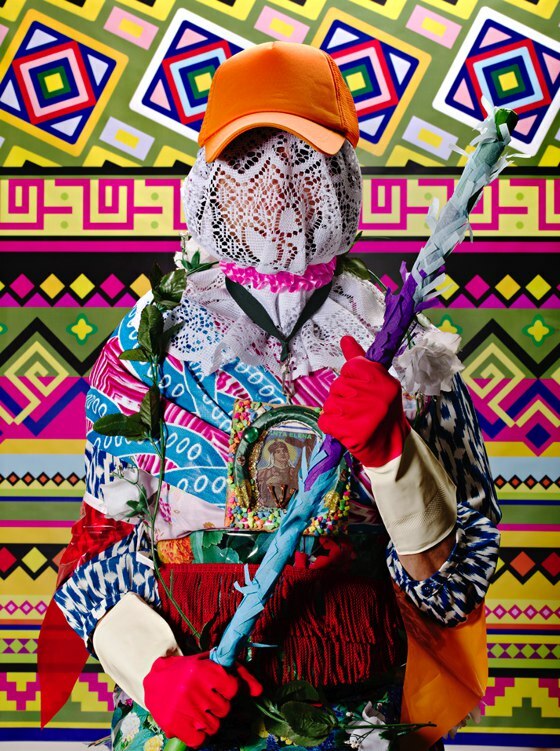 'Anonymous' is a series of photos of the New York duo Floto+Warner, designed to raise public awareness about the kidnappings of students of "normal schools" in Mexico, a network of free education institutes for the rural poor. 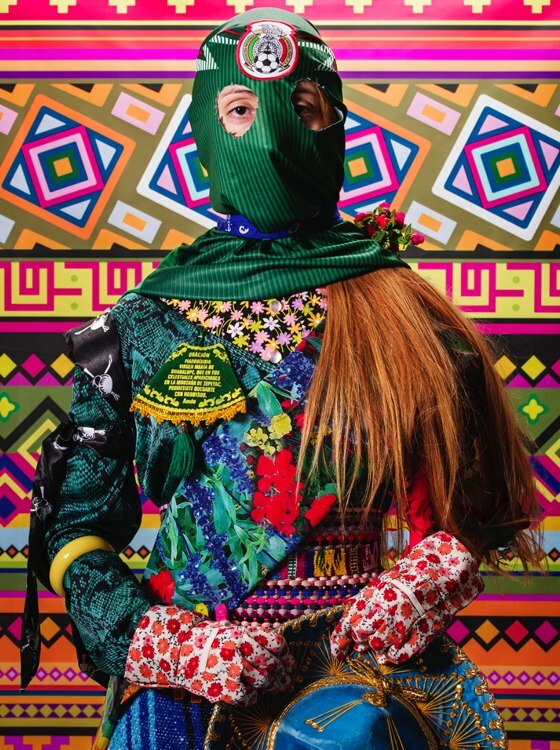 The "normalista" students are protesting against attempts to privatize education. 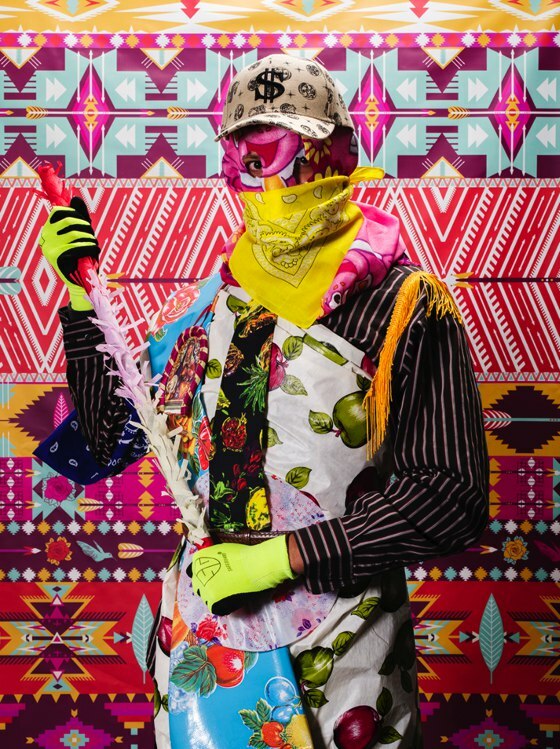 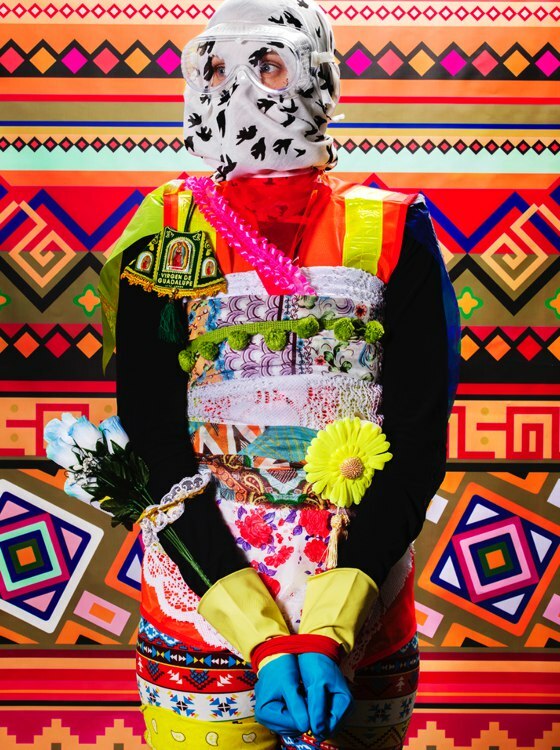 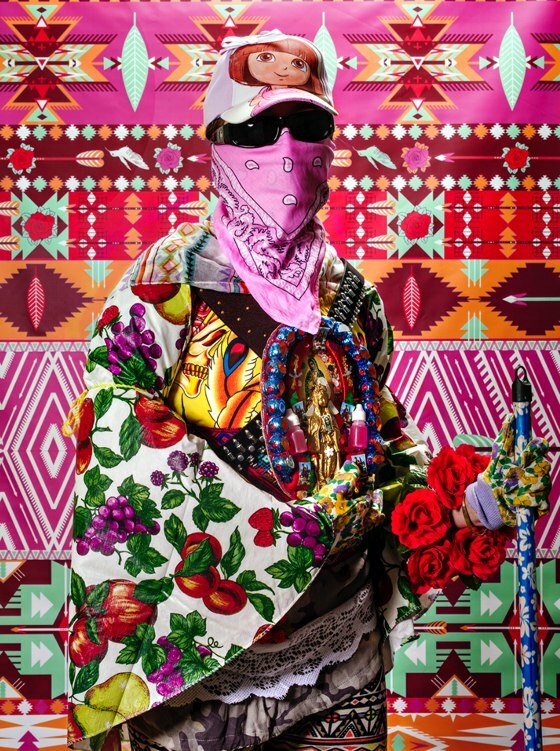 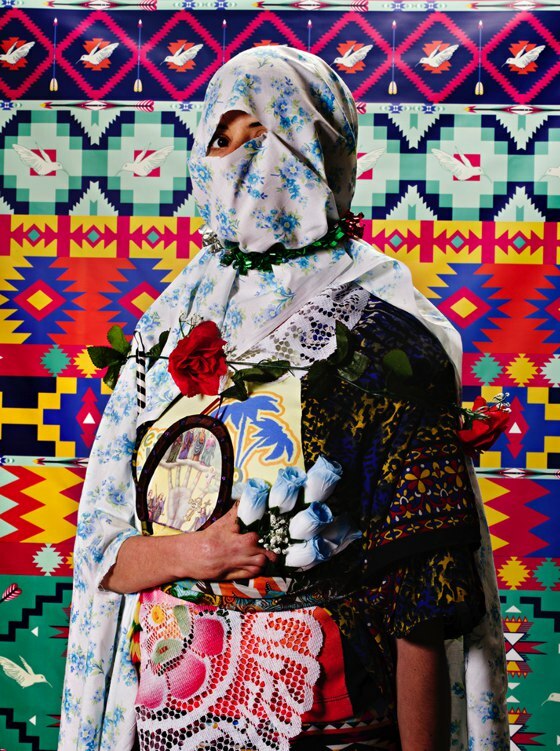 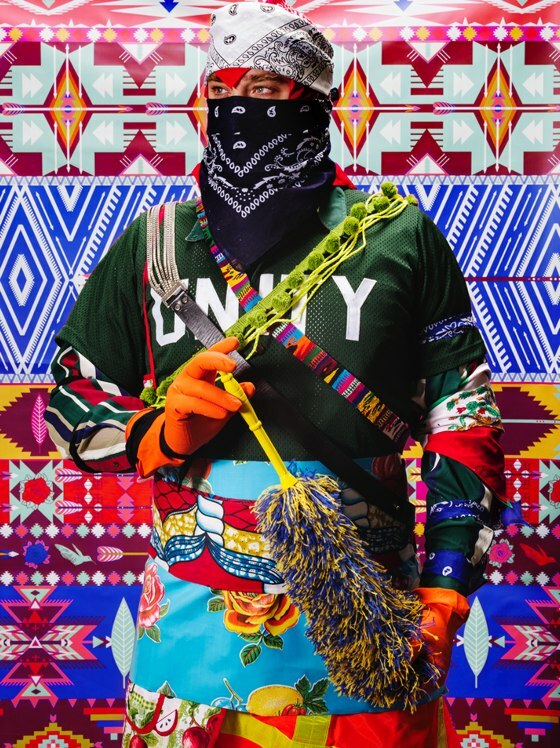 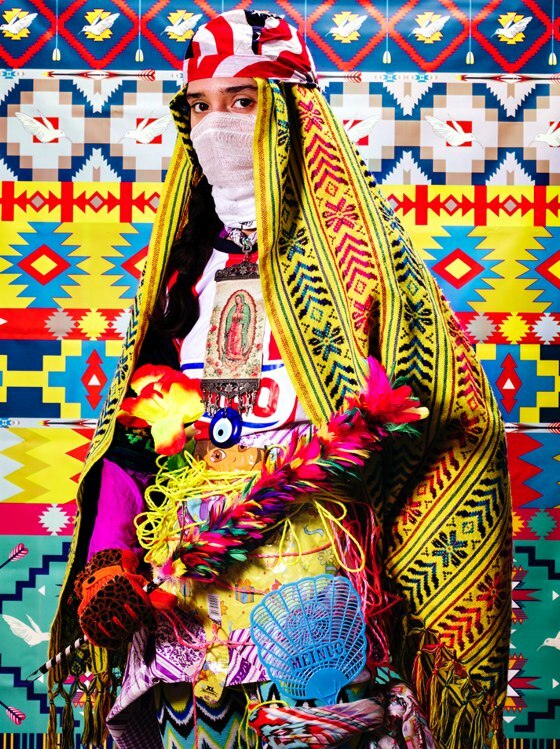 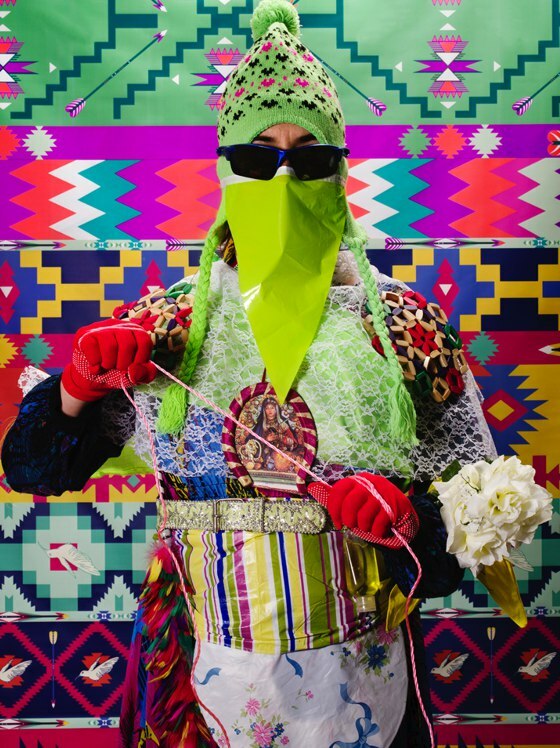 In these photos, Floto+Warner have deliberately exaggerated the appearance of Normalistas, using colorful and eye-catching prints and patterns, and lot of household items that use to protest.